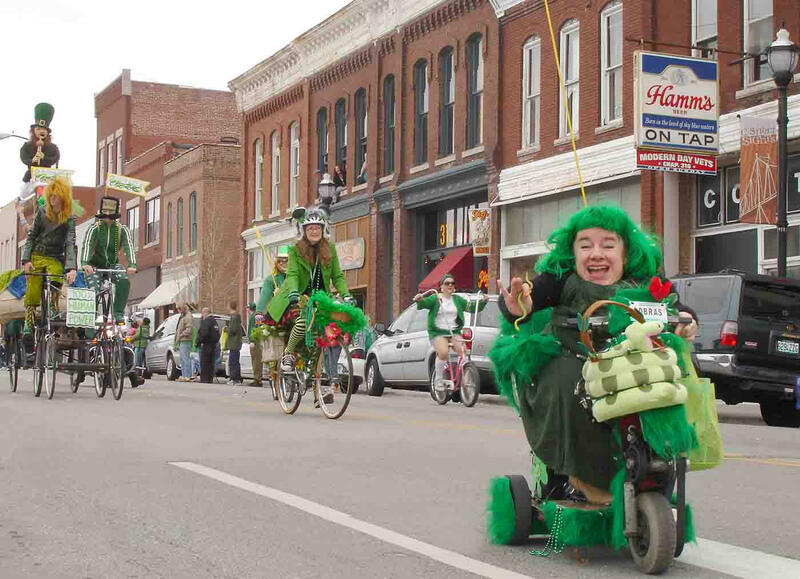 Springfield’s 39th annual St. Patrick’s Day Parade marches its way through downtown on March 16th. The celebration will kick off at 12:30, beginning with the Irish Pet Contest. The parade will begin at 2:00 pm starting on the corners of Benton Ave and Commercial Street, and will come to an end at the Patton Alley Pub on South and Elm. This year’s Grand Marshal of the parade is Phyllis Ferguson. She’s the councilwoman for Springfield’s zone one and the Chief Operating Officer of Mexican Villa restaurants. Ferguson is dedicating her position asgrand marshal to her late grandmother, who was Irish, and will wear her grandmother’s green glass beads at the parade. “I think the thing about the St. Patrick’s Day Parade is that it is for everyone. To me the parade is symbolic of all people in Springfield,” Ferguson said. According to the parade’s website, there are eight contest categories, including Irish costumes, pets, musical entries and floats. Parade co-founder Dave Trippe said one of the original goals of the parade was to make it “a people’s parade,” and to unify north and south Springfield. “We try to run a parade that would not only help the commerce of downtown and Commercial Street, but also the two parts of the city," Trippe said. Trippe said one way parade organizers met this goal was to make registration and attendance free to the public. According to the parade’s website, registration to participate closes at 1:30 PM on the day of the parade. The celebration of the Green Isle continues with an awards ceremony at Patton Alley Pub after the parade.